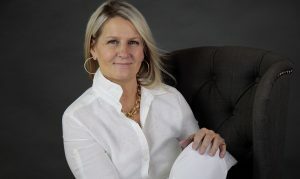 Lauren Crowther is the owner and operator of Studio Technique. Lauren’s extensive background as a dancer takes her back to the age of four. As a competitive dancer, Lauren trained at many prestigious schools and several workshops throughout North America. When Lauren began to incorporate Pilates into her dance training, she realized how it added a completely different level of strengthening and conditioning to her body. Pilates taught her how to integrate her mind with movement. Inspired by the results, Lauren knew she wanted to show others how to connect mind and body on a deeper level. Since 2007, Lauren has been a Fully Certified STOTT PILATES™ Instructor. She is certified on all pieces of equipment from essential right through to the advanced level. She has also completed the Injuries & Special Populations course, which has given her the knowledge to work with clients that suffer from sports injuries, Multiple Sclerosis, Chronic Back Pain, Arthritis, just to name a few. 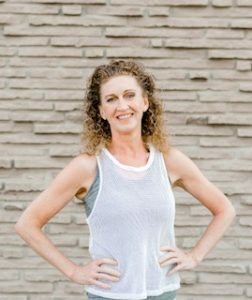 She enjoys working with clients of every skill level ranging from professional dancers, avid athletes, clients that need post rehabilitation, and pre and post natal women. Lauren’s charismatic and energetic zest for life is contagious amongst her clients. Lauren is honoured to be an Ambassador for Lululemon Burlington at the Mapleview Mall! Lauren’s greatest joy is being a new mama to her beautiful baby girl Ella. Rachel Kinlough has been apart of our Studio Technique family for 7 years & we couldn’t be more thrilled! Rachel is a Certified Pilates Instructor and has been teaching this craft for 13 years. In an effort to expand her knowledge within the fitness industry and also increase her own flexibility and strength towards her own individual goals for her body, she began training in Pilates. Rachel is one of the most patient and observant instructors which are two great attributes to help you reach your fitness goals; whether you’re goal is to rehabilitate or simply to just improve your physique or fitness regime. Studio Technique would like to welcome with open arms, one of the newest members to our family Mrs. Judi Savage. 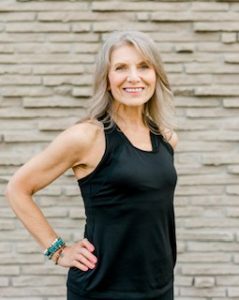 Over the course of 30 years, Judi has worked as a group fitness instructor, spinning teacher, personal trainer & one of the Can Fit Pro Trainers for certification courses. 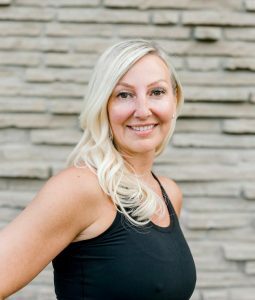 After taking a Pilates workshop 16 years ago, she knew she had a passion for Pilates and took her Stott Pilates training immediately. 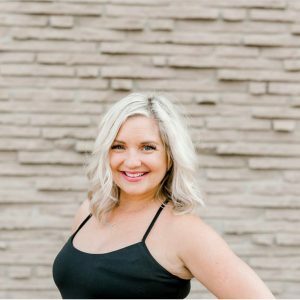 She has been teaching Pilates as a full time career for 15 years and feels so fortunate to share her passion of movement & to incorporate her experience and diverse training into her clients workouts. Karen’s presence and personality are contagious. Always leaving and wanting more..now we have her! Karen has always had a love and passion in the fitness world. She found her love for pilates and then the BARRE and realized, she wanted to teach and pass on her knowledge and love for the art. Karen completed her TOTALBARRE this past summer in Toronto at STOTT pilates. To add to that, she also found a love for the latest fitness craze PILOXING. She took the Piloxing course in September and is now fully certified to teach both classes! With her energetic charisma and that push she will give you, will leave you wanting more. We welcome Karen to our family and couldn’t be happier! Fiona is a fully trained professional dancer in classical as well as many other styles of movement and dance. Born in Newcastle Upon Tyne, UK, she began dancing at the age of 6 and at the age of 14 won the Northern Ballet Scholarship. At 16, she went on to undergo 3 years of professional full time training. Two years were completed at The Arts Educational School of London, where she obtained her “Royal Academy Of Dancing Advanced Examination” (ARAD) and one year at The Central School of Ballet; where she was sponsored and funded by “The Prince’s Trust”. She began performing immediately after her training and has traveled, working in some of the most prestigious revues around the world, such as The Moulin Rouge in Paris. In her long list of performance contracts she has worked in theatre, cruise ships, television, film, video clips and modeling ranging from Soloist and Principle parts as well as Captain, Assistant Choreographer and Company Manager. Fiona performed up until she met her husband who was from Oakville and after 20 years of performance, she moved to Canada and produced 3 beautiful children. To assist in her training, since the age of 16 Fiona has always taken part in a wide range of fitness classes either as a teacher or participant. After devoting over 7 years solely to her children she is now very happy to be teaching again. She has always insisted the best form of exercise is dance related and is very inspired to pass on her knowledge and passion of the technique.